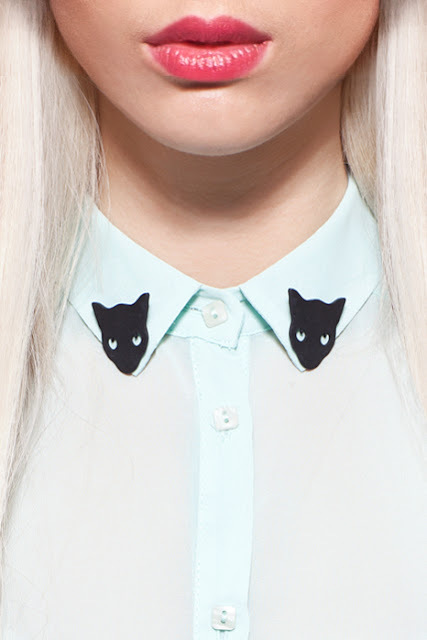 Call me a crazy cat lady if you wish, but now cute are these kitty collar tips! I'm a massive fan of shirts and I have a section of collar tips already, but nothing as cute as these! 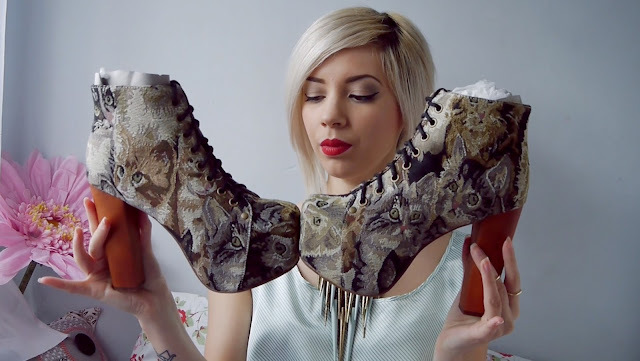 I've been loving my new cat tapestry litas, so glad I opted up a size to my usual as these are so comfortable! No more pinched toes! I'm trying to be more careful with wearing shoes that fit properly, I don't want to ruin my feet! 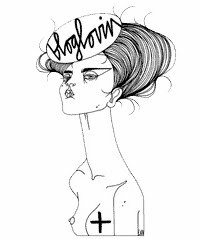 Hope you all had a lovely bank holiday weekend! I'm currently ill and feeling sorry for myself ^_^ if you follow me on instagram you would have already seen this outfit and know I didn't take this today haha. 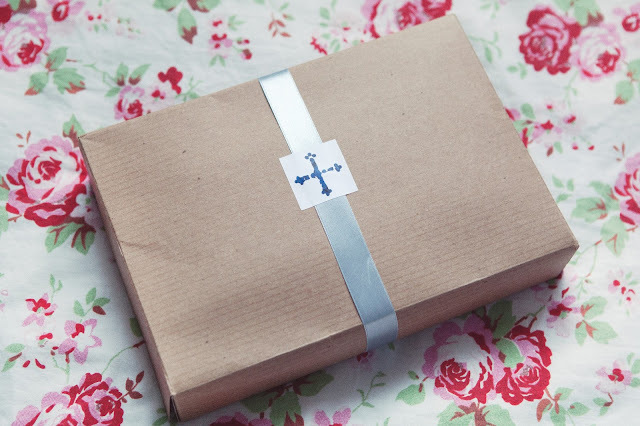 Recently I have stocked up on lots of beautiful jewellery! 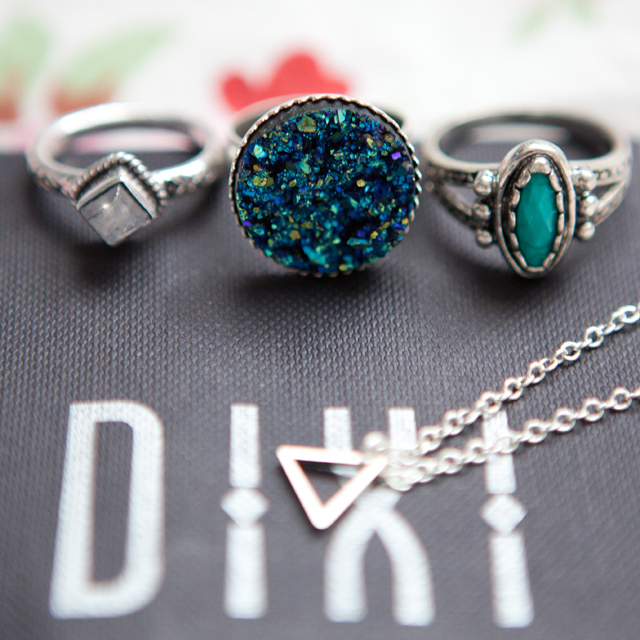 These lovely items are from Shop Dixi, who have an amazing range! If you know me you would know I love long necklaces and have lots of them too! So I really needed to get something different to balance this up! 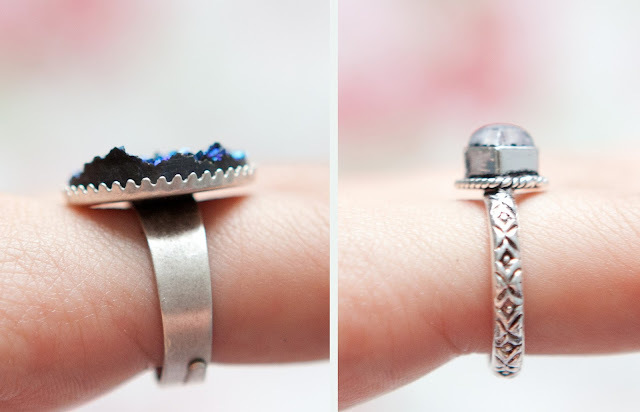 I chose three quite different rings to suit different moods and styles, and a short silver dainty necklace. 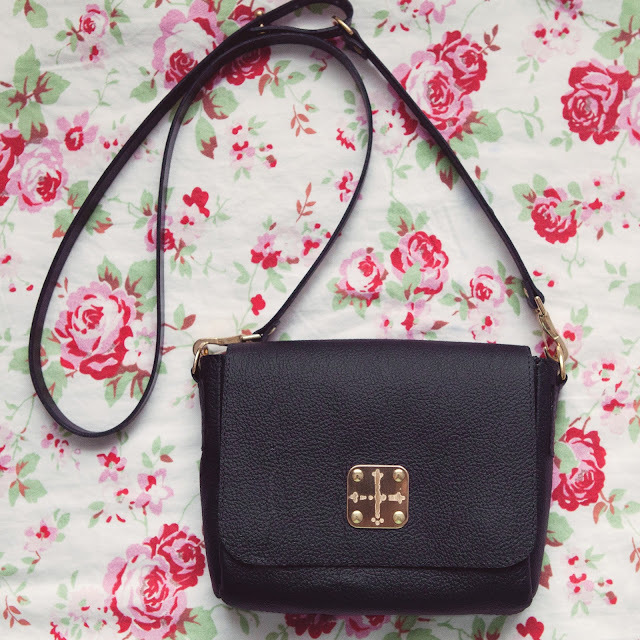 I was pleasantly surprised at the different styles they stock! Not being content with stopping there, I stocked up on even more! 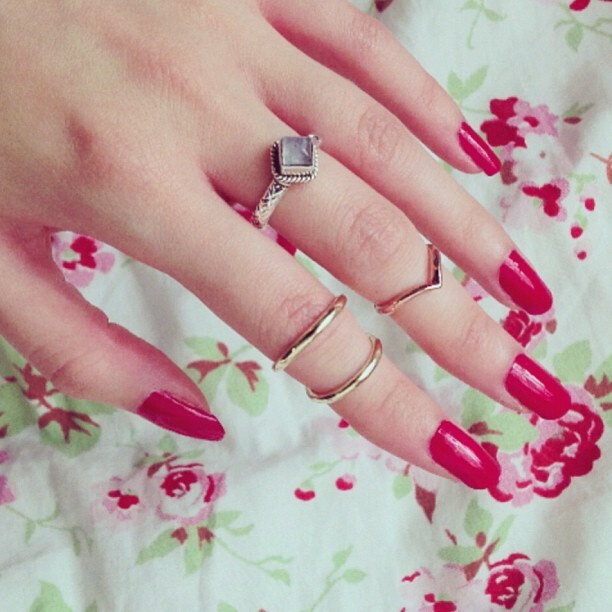 If you follow me on instagram, twitter or watch my youtube videos, you will know my current favourite ring is my silver knuckle ring by the Bohemian Collective. 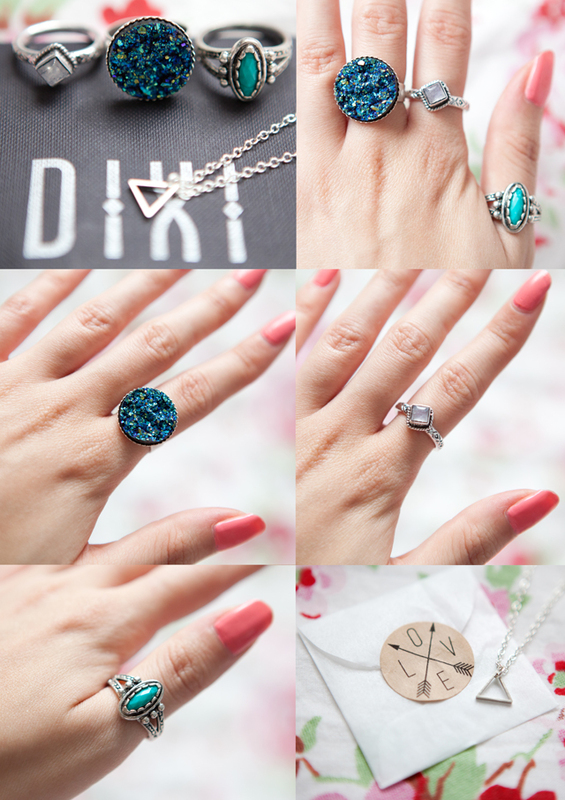 I saw Dixi had some as well, but theirs were thicker. 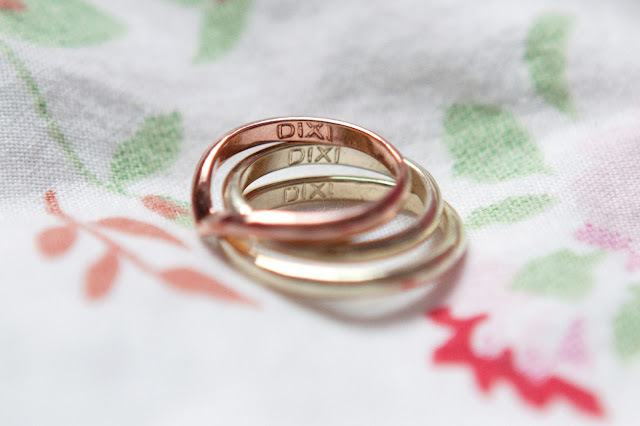 They have them in silver, rose gold, gold, plain band sets and more! As I mainly own silver rings I decided on a gold set (as my fingers are tiny I can wear the larger as a normal ring as well). 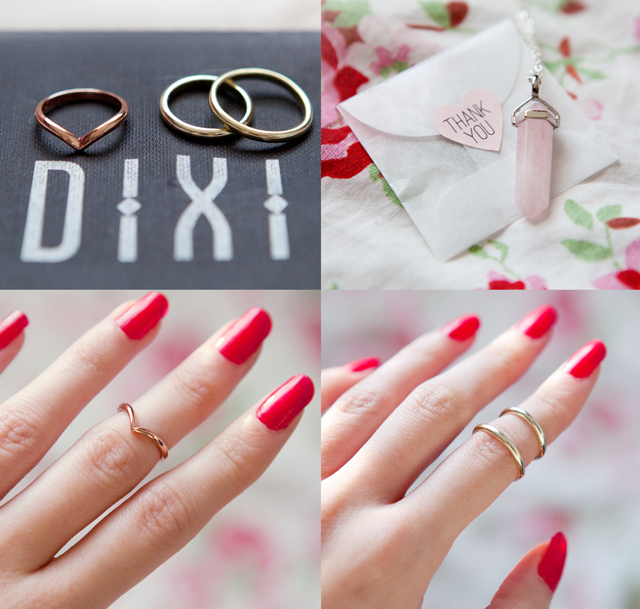 I also opted for the rose gold wishbone ring as I have no rose gold jewellery and wanted to try it! 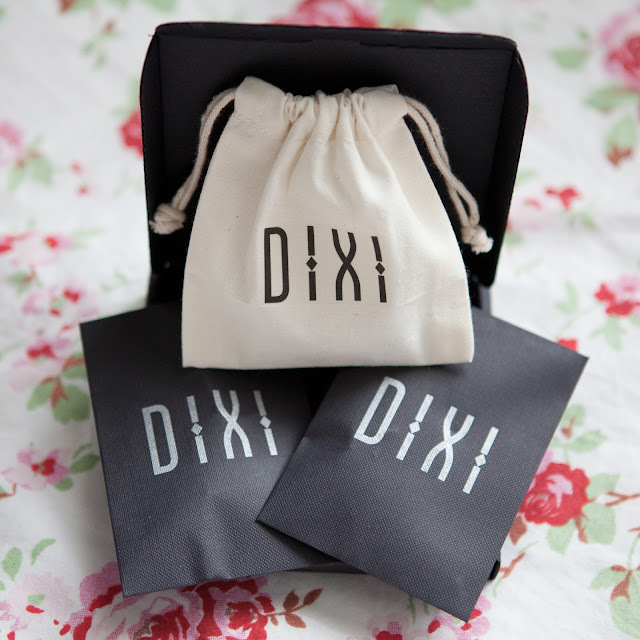 I love how they also say Dixi inside! 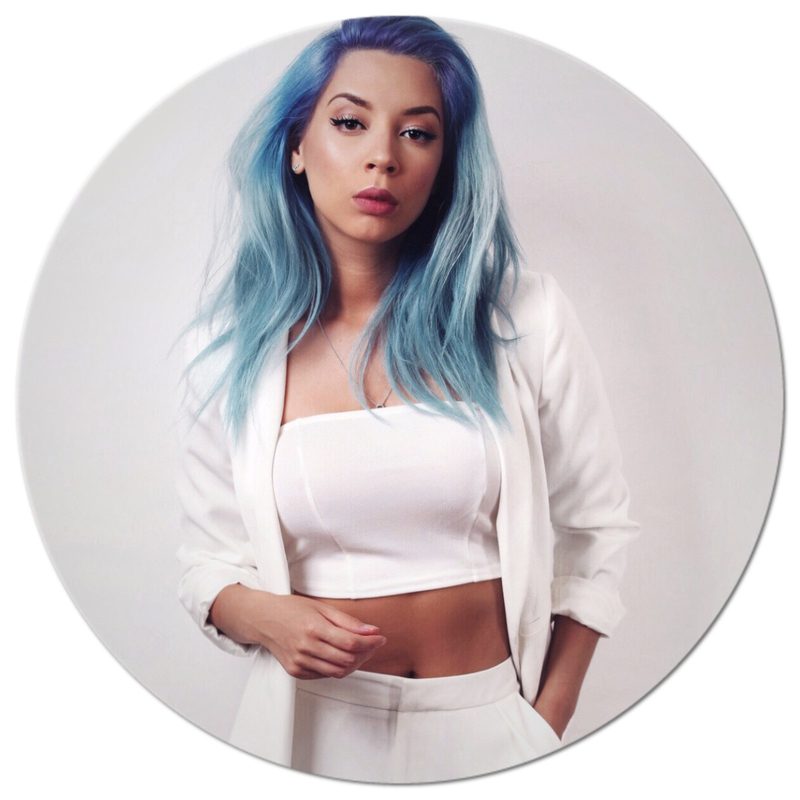 How pretty is the Crystal point necklace too! Crystal necklaces are one of my favourites! I even featured some in my first ever youtube favourites video. 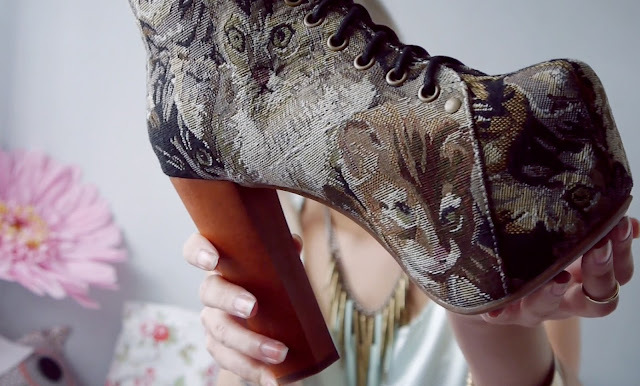 How amazing are my new Jeffrey Campbell Cat Tapestry Litas from Phixclothing! 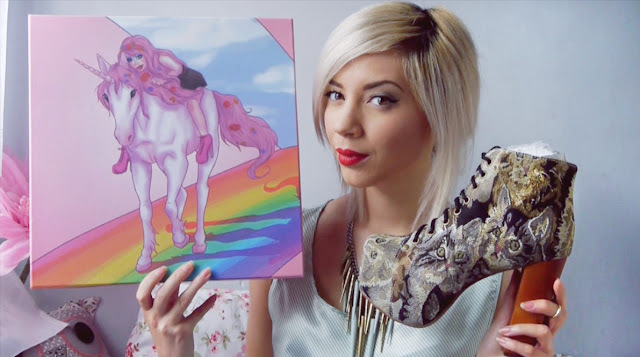 Not only are the shoes amazing, but look at the new JC box! Friggin has a unicorn on it running on a rainbow! 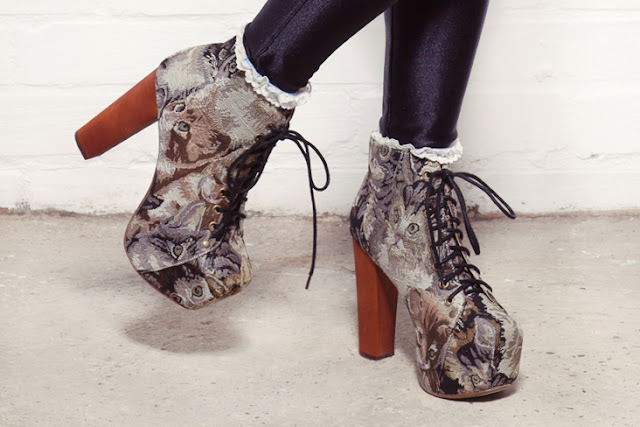 More unicorns inside, with heels on their feet! 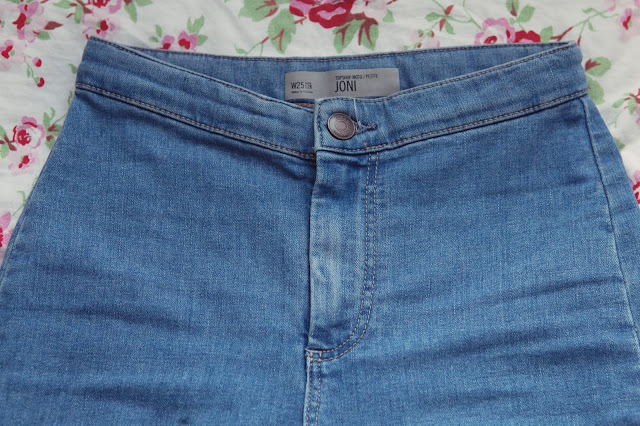 So I finally got round to doing a review of the Topshop Joni Jeans which I said I was going to do back in my first ever Youtube haul! 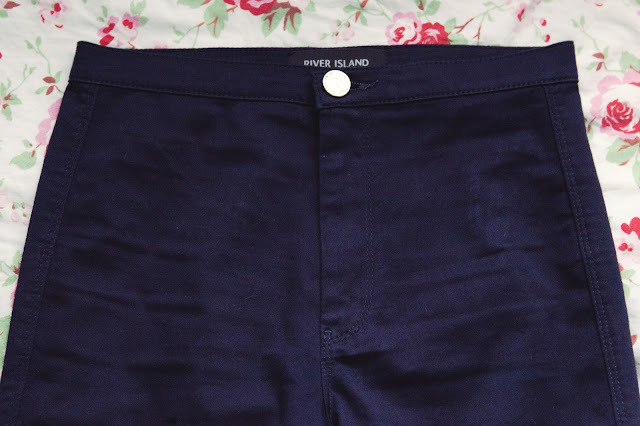 I finally decided to do it now as I recently purchase River Island's Tube pants which look like another dupe of the American Apparel Easy Jeans. View the above video for a more in depth review about the three, where I also answer questions put to me on instagram and give my own tips. 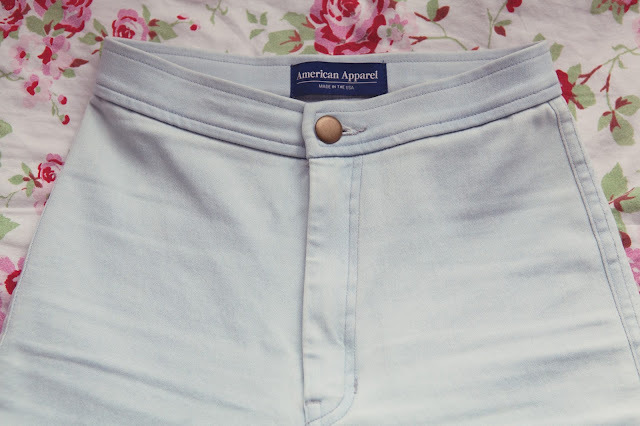 So to start with the real deal, American Apparel Easy jeans which retail at £64, I actually got these with 30% off so they were a more reasonable £44.80. 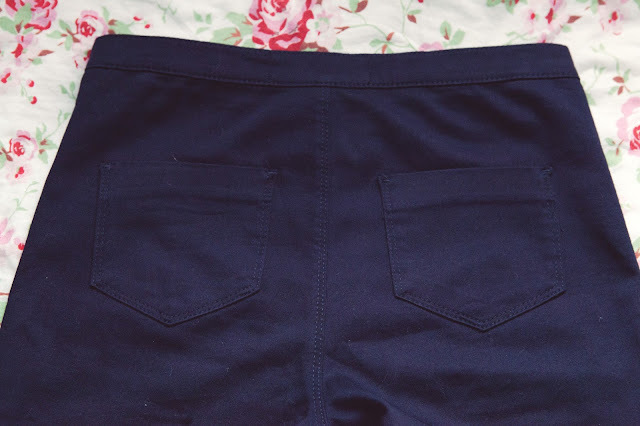 The main features of these are similar to that of Disco pants. 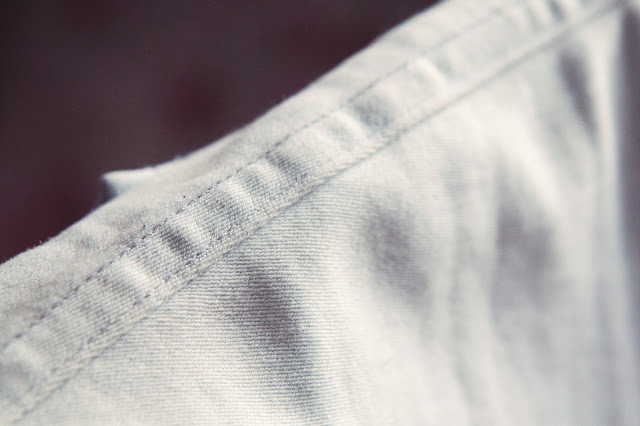 A simple pant with a zip fly, a top button, no front pockets, and at the back two pockets. 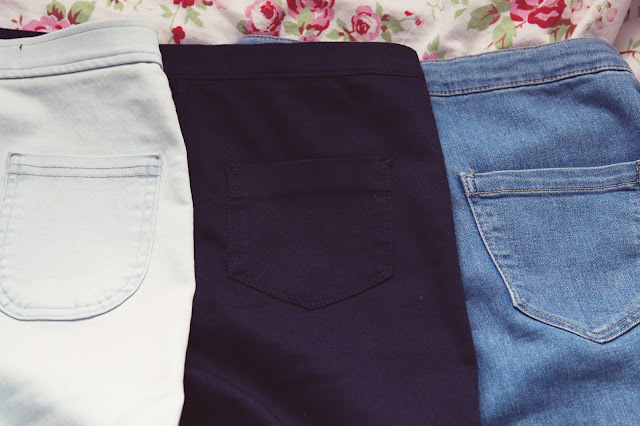 These are different as they are denim, and of course not shiny. 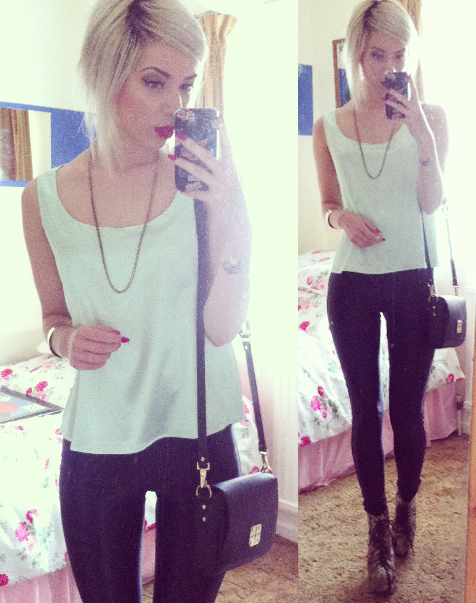 A nice summer alternative to the much loved high waisted form fitting pant. 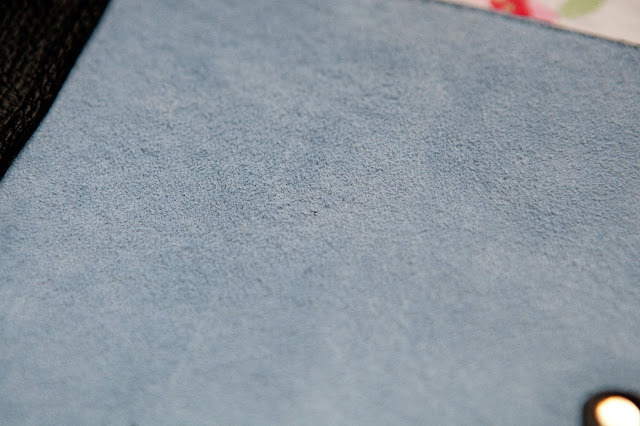 The denim is super smooth and soft, it's thin and highly stretchy with reinforced seams. It's recommended on their site to size down, before they were shown to be super tight like in some of the old remaining pictures and short clip of them on a model. 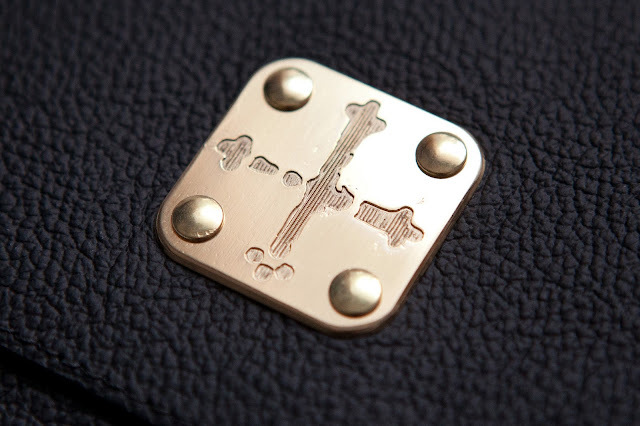 But in the newer ones they are shown as a more relaxed fit. They come in a choice of 15 colours. You cannot choose a leg length, but there is a sizing chart to show you how they will come up. Although they only state the inside seam of the leg. 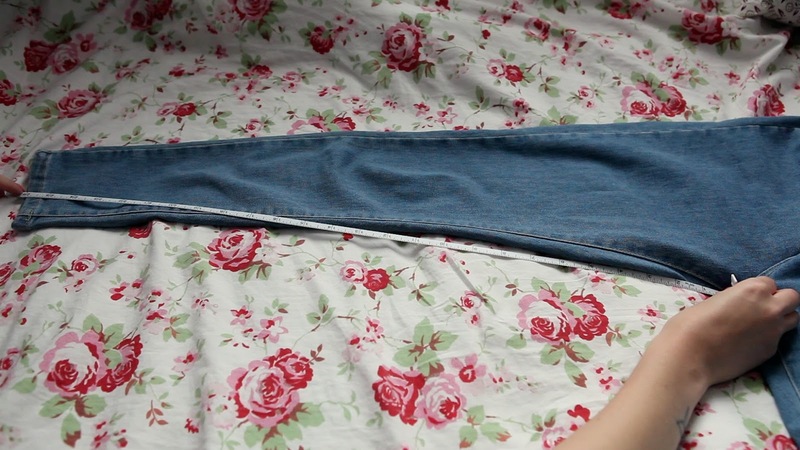 I worked out that if you measure the jean leg from the crotch to the end, (mine were stated to be a 28inch inside seam), then plus two, you would get the leg length. 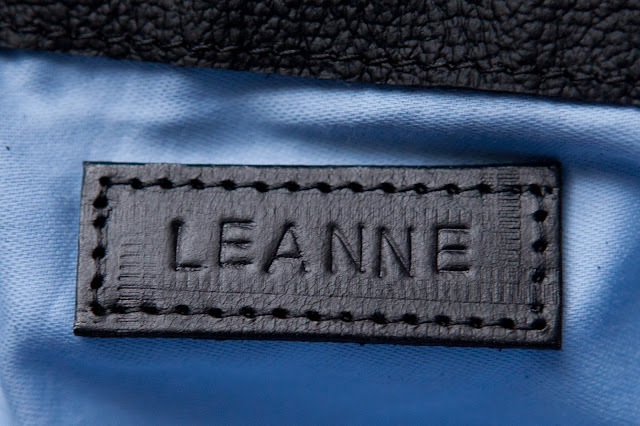 This works out as adding three to the inside seam measurement to calculate the jeans leg length. Mine come up a little long, nothing two rolls cannot fix! 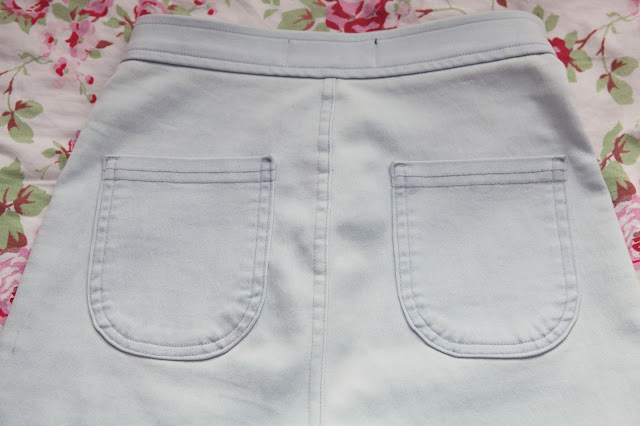 I have two pairs of the Topshop Joni's, this and a black pair. These retail at £36 and are available in three different leg lengths and 13 colours. 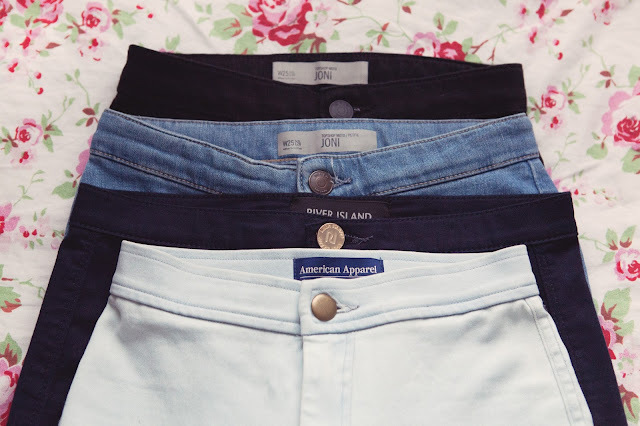 I love how they look, such good dupes of the AA ones! I feel they fit better, the leg not sitting as straight, so it feels more fitted around the knee and ankle. These don't feel as tight as the AA ones, but for those I did size down. I would like these joni's to be tighter, but I feel the seams wouldn't last if I went for a tighter pair! 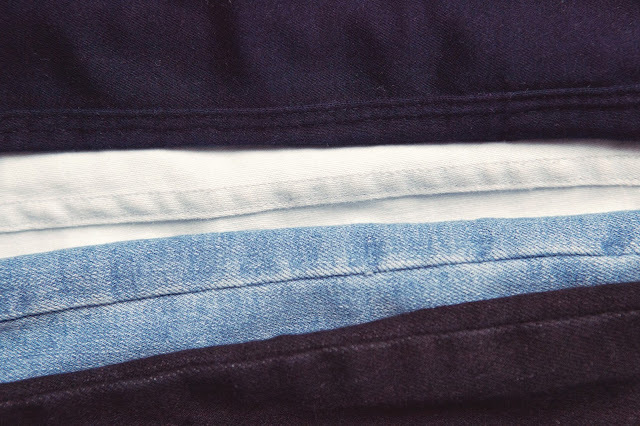 It feels as you have saved money, you have lost out on quality of strong seams, something important for tight pants. 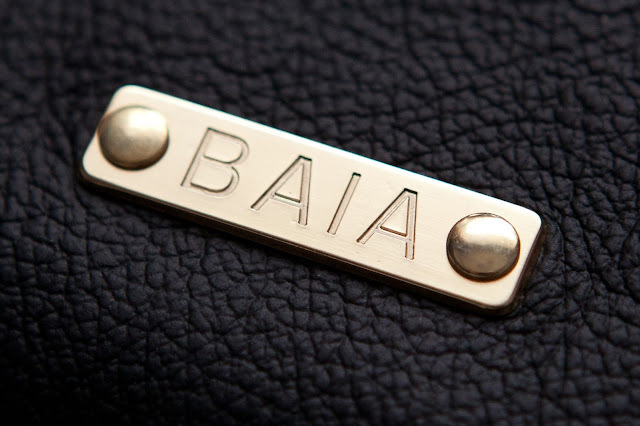 If these break and you buy a new pair, you might as well have bought the AA ones in the first place! Here are the seams of my black pair, as you pull the material, white stitches become visible, this is also seen along the sides of the back pockets. 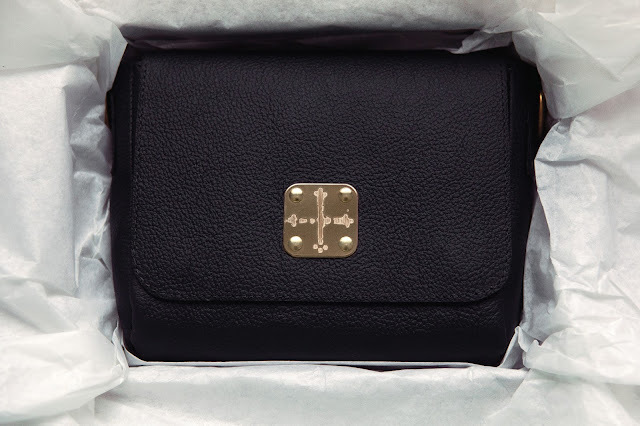 These are an early version, after so many bad reviews, apparently Topshop released a new version without any white visible stitching. These arrive last weekend, I'd seen others talking about these and I had to see what the fuss was about. I do really like these, as soon as I put them on I noticed how tight they were at the ankle which make these the tightest of them all. 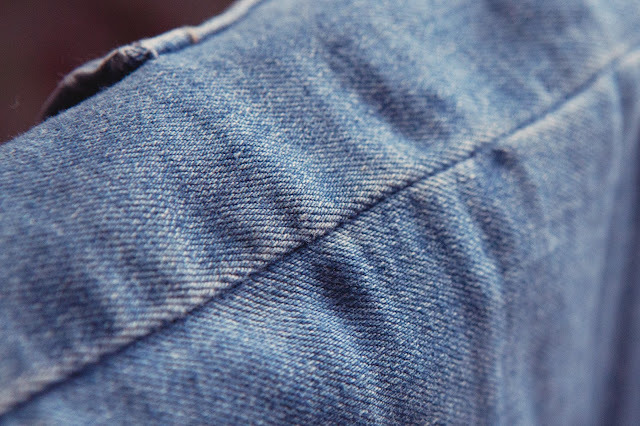 I did notice these aren't denim, I had assumed these would be. I looked back online and saw they do make denim versions, but this wasn't one of them. 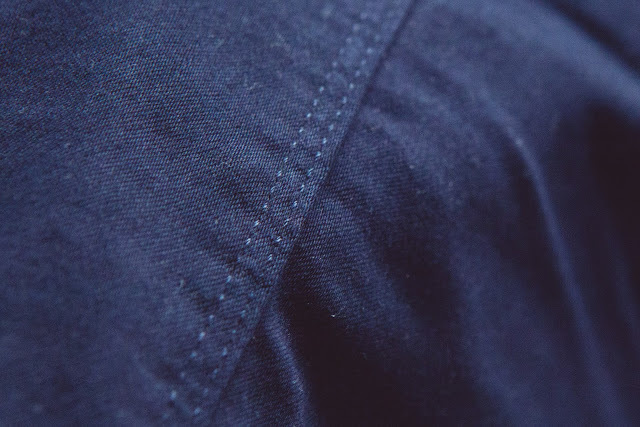 I didn't like their navy denim version with it's contrasting stitching. The fit of these are nice and tight, but as the material feels more like trousers, these are stretchy and so they feel quite restricting. 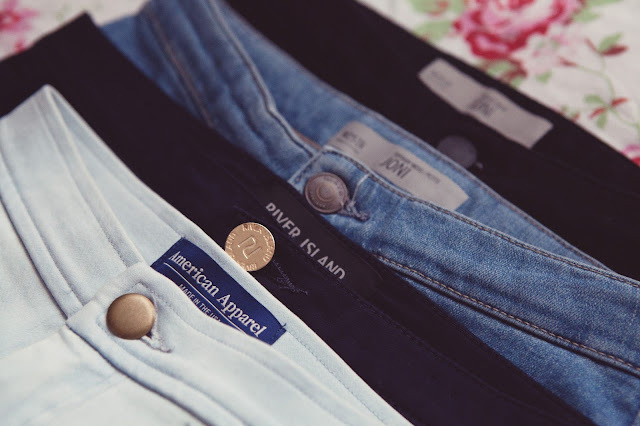 These are a good in between version of the AA and topshop ones. They are tight and fit well on the whole leg, they aren't too thin and they are the cheapest. 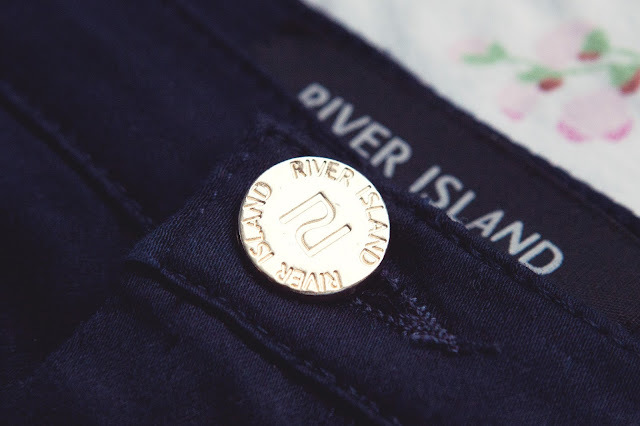 American Apparel ones and the River Island had the best seams. 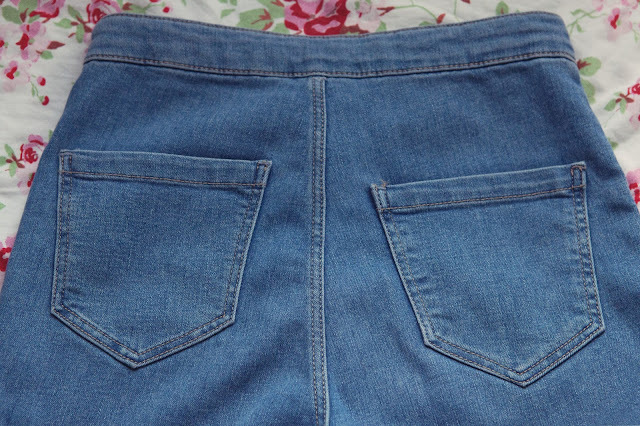 Topshop had the biggest back pockets, followed by AA, then River Island. 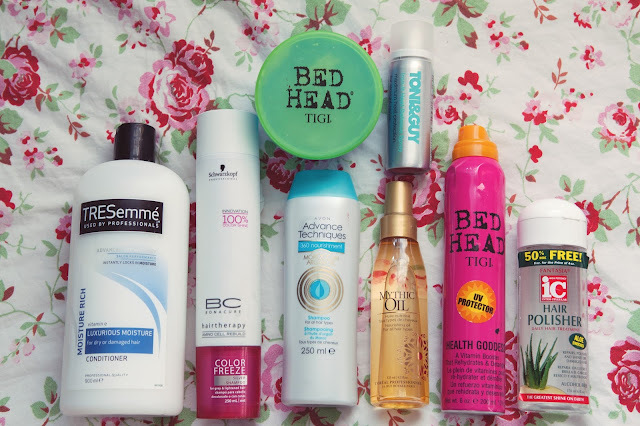 So above are my current hair product favourites! 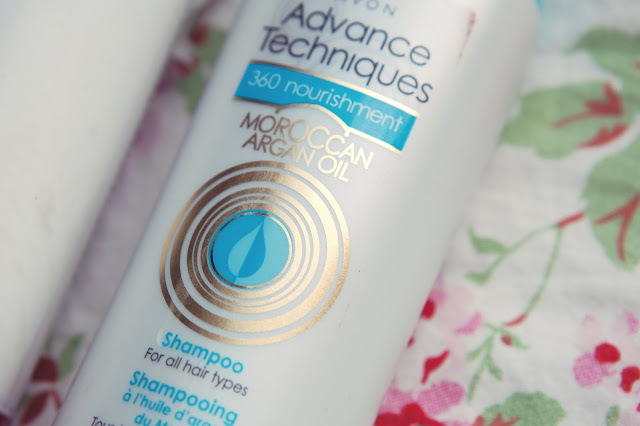 Currently I'm using Avon's "Advance Techniques Moroccan Argan Oil" Shampoo, after I have shampooed once with this, I then use the Schwarzkopf "Professional BC Bonacure Color Save" Silver Shampoo. 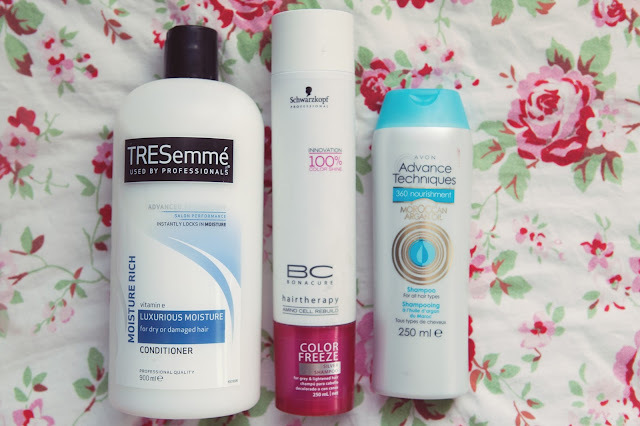 I do this as I find the silver shampoo needs a little help to lava well enough, and shampooing with something else first makes a massive difference! 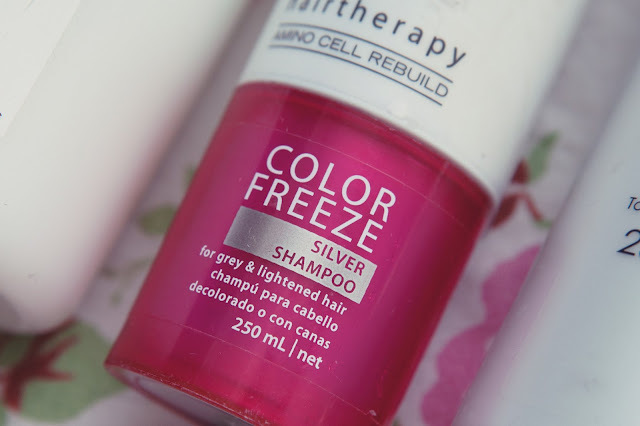 People ask what toner I use to maintain the colour of my hair, I don't use any toner (apart from when my friend does my roots), I just use this silver shampoo to keep the brassy tones away. 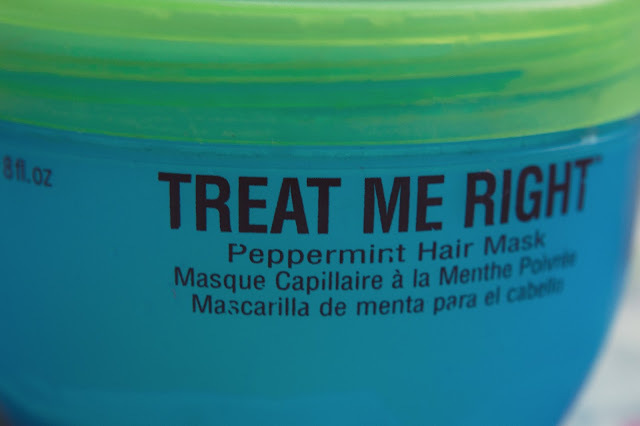 I used to use Tresemme's shampoo, but I discovered my scalp is allergic to it! 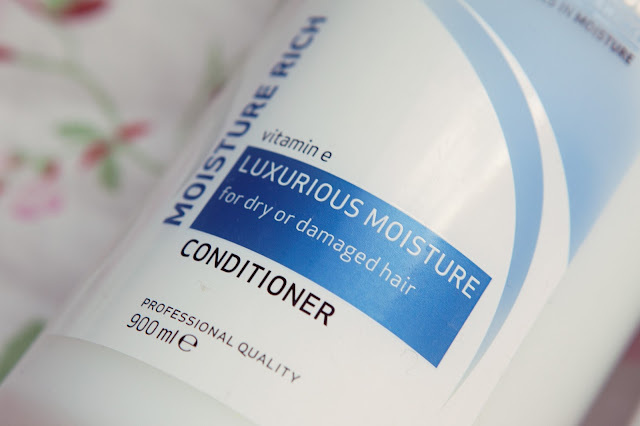 I get on fine with their conditioners thankfully so I still use the Luxurious Moisture Conditioner which leaves your hair feeling silky soft instantly! If you watched my most recent favourites video, then you would know I've started using this hair mask again after finding it at the back of my cupboard. 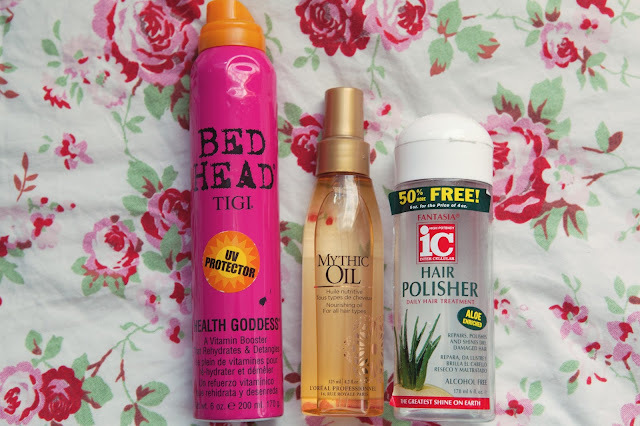 Once a week I make sure I condition my hair deeply with some kind of treatment to keep my bleached locks happy. 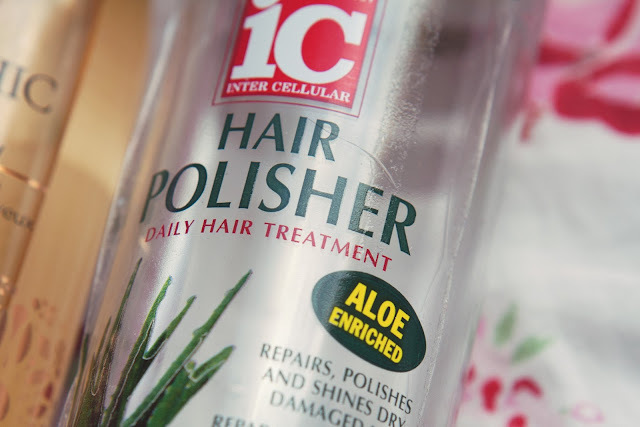 So instead of using the Tresemme condition I apply a generous amount of this into my hair and relax for 5 minutes as this does it magic. 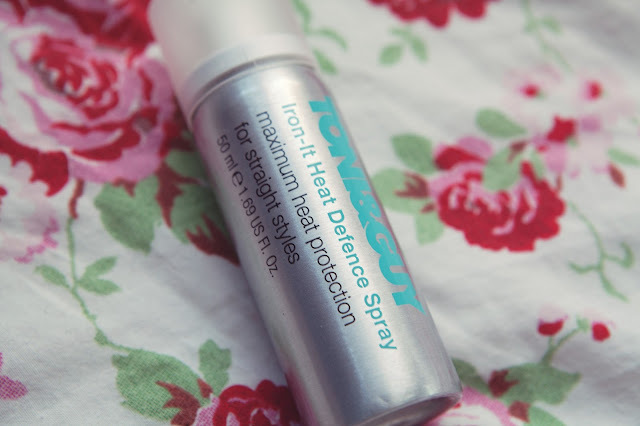 Leaving your hair tangle free, super soft and happy! 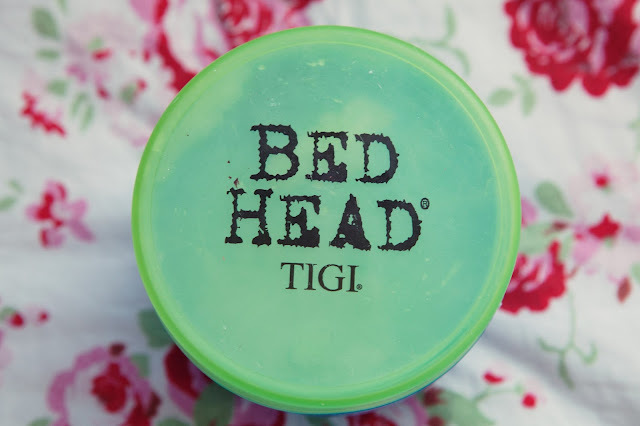 When I don't use the Bed Head hair mask, I spray on some Bed Head Hair Goddess to help detangle my fragile wet hair. 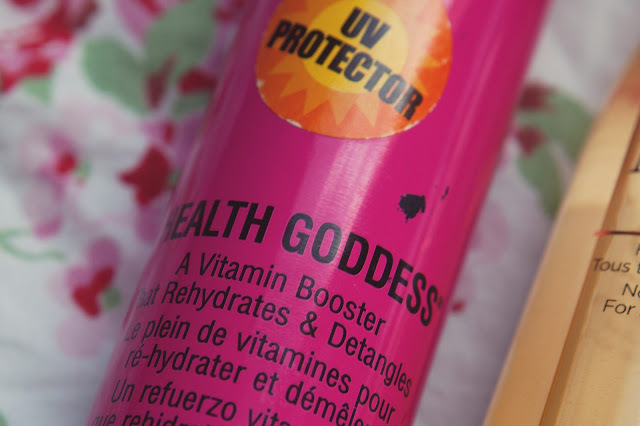 This helps to prevent breakage when running product into my hair with my hands. It also smells amazing! 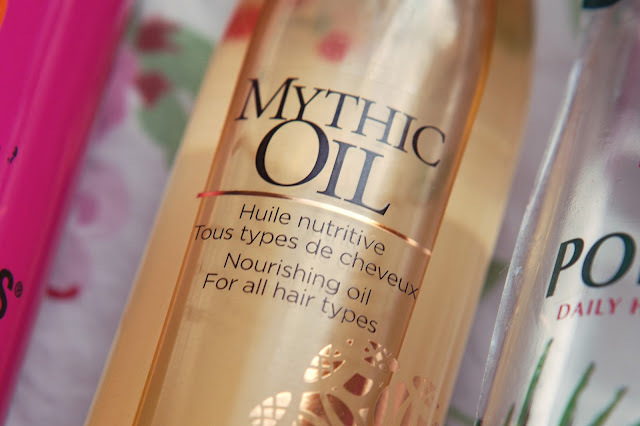 Next I apply as many pumps as needed of the L'Oreal Mythic Oil into my palms, then apply all over my hair. Once this is done I apply a little of the Hair Polisher just to the ends to help smooth them out. 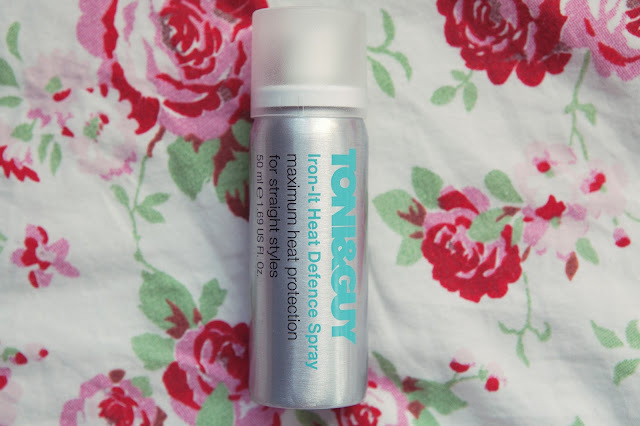 Before I let any heat touch my hair I spray on a heat protector, currently I am using this on by Toni and Guy.